Manhattan-based saxophonist Daniel Bennett has been hailed as one of the most original and unpredictable musical voices of his generation. Daniel Bennett can be heard throughout the world performing his award-winning compositions on saxophone, flute, clarinet, and oboe. 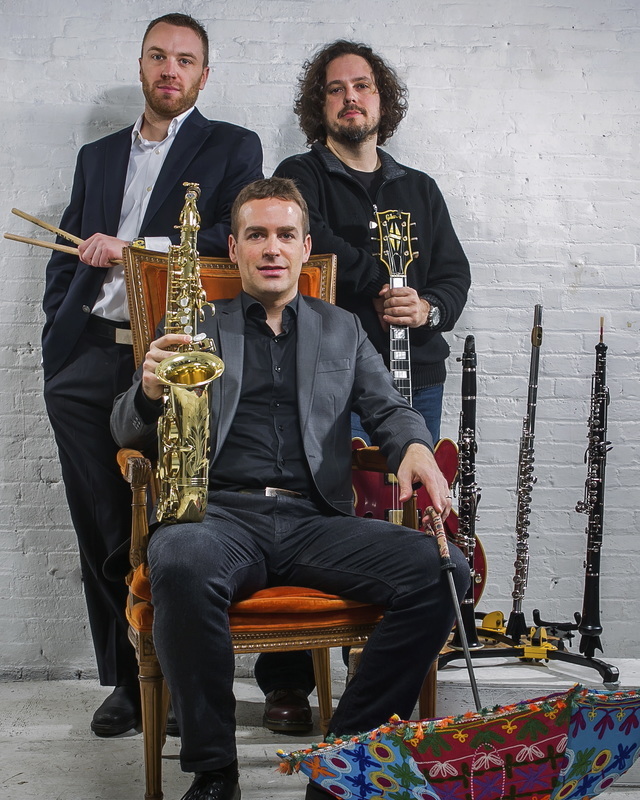 The Daniel Bennett Group performs modern jazz, fused American folk, experimental classical music, and world music. The Boston Globe describes Bennett's music as "a mix of jazz, folk, and minimalism." The Daniel Bennett Group was recently nominated as "Best Jazz Group" in the Hot House Magazine NYC Jazz Contest. The Daniel Bennett Group has been featured in Boston Globe Magazine, NPR, First Coast Living (NBC), Indianapolis Public Radio, St. Louis Public Radio and the Village Voice. The Village Voice raves, "saxophonist Daniel Bennett makes hay with an airy approach that's buoyant enough to conjure notions of East African guitar riffs and Steve Reich's pastoral repetition." Time Out New York describes the music as, "hypnotic." The band has released six critically-acclaimed albums: A Nation of Bears, The Legend of Bear Thompson, Peace and Stability Among Bears, Live at the Theatre, Clockhead Goes to Camp, and The Mystery At Clown Castle. Daniel Bennett has performed in Broadway and Off-Broadway productions. ​Daniel Bennett recently composed the musical score for stage adaptations of 'Frankenstein' and 'Brave Smiles' at the Hudson Guild Theatre in Manhattan. Daniel Bennett recently played woodwinds in 'Blank! The Musical,' the first fully improvised Off-Broadway musical to launch on a national stage. The New York Times called the show, "Witty, Likable and Ludicrous!" Daniel Bennett's theatrical works have strongly influenced his eclectic sound and musical storytelling abilities as a bandleader.